Marijuana consumers have two options when it comes to inhaling cannabis: vaping and smoking. Both methods are legal in states that allow marijuana use, but how do vaping and smoking differ from one another relative to the techniques, risks and benefits, tools, and forms of marijuana required? Is one method better than the other? Let’s compare. Both inhalation methods disperse cannabinoids to your lungs. Both methods also offer variations on how to do it, which will be explored later on in this article. Vaping: When you vape, the cannabis heats up without being burned (1), which is why the process does not create smoke. Mist, not smoke, is created because there is no combustion. The residual mist is then released into the air upon exhalation. Vaping does not require a heat source, such as a lighter or match. The inhaled mist contains marijuana’s main psychoactive chemical, tetrahydrocannabinol (THC), which is then absorbed into the bloodstream. You may choose to smoke marijuana products or use a vaporizer to consume them, with risks and benefits accompanying either choice. Here’s a quick review of the health and safety factors associated with each of them. They perceive vaping to taste better than the smoking method. Vaping marijuana seems healthier than smoking it. Vaping is generally more satisfying than smoking. Vaping produces a stronger high than traditional marijuana smoking methods. Additionally, cannabis vaporizers are designed to specifically eliminate harmful smoke toxins. As stated earlier, the vape method of marijuana inhalation eliminates smoke production, replacing it with mist. So, it makes sense that studies over the years have shown that vaporizing does produce fewer carcinogenic compounds than smoking marijuana. Also, when vaping, there is virtually no smell, and others in the area are not at risk of contracting a contact high, which is a secondary high felt by non-users who breathe in marijuana smoke. Vaping isn’t without its concerns though. Research shows that harmful chemicals can be released into your system by using the vape method. For example, ammonia is released during the process, and that can have negative effects on your central nervous system, as well as cause irritation. (4) Asthma and bronchial spasms have also been reported by vape users. The University of Washington’s Alcohol and Drug Abuse Institute reports that tobacco smoke and marijuana smoke contain a similar range of chemicals that are known to be harmful (4). The respiratory system is impacted when smoke enters the lungs and airway on its way to the bloodstream. The news isn’t all bad. The institute reports that pulmonary function may not be adversely impacted in occasional smokers and those who smoke very little. Debilitating airway dysfunction is also not directly associated with marijuana smokers in general. Although marijuana and tobacco smoke may share some attributes, studies have not shown an increase in lung cancer among marijuana smokers. Additionally, no concrete connection between long-term marijuana smoking and other conditions and diseases, such as bullous lung disease and pneumothorax, has been found (4). As indicated before, there are two primary ways to inhale marijuana, either through the vaping or smoking method. Here, we take a closer look at the various ways to engage in both methods. Vaping is done in one of two primary ways. In the first method, marijuana is vaped by way of cannabis oil, which is sold in a pen vape cartridge form, and then placed into a battery device. The resulting visual looks somewhat like a slightly bulky, writing pen. The user draws from one end in the same way he or she would pull on a joint. The drawing action activates the device’s heating element, which heats up the oil and creates the mist that users inhale. Upon exhalation, the residual mist is expelled from the user. Alternatively, cannabis flower is ground up and placed inside of the heating chamber of a handheld vaporizing device that often looks like a box (varying sizes). The chamber heats up the cannabis but does not burn it. You draw from the appropriate opening with the same pulling method used when smoking or using a vape pen. Using either method, the heating element is triggered, which then vaporizes the active ingredient that is inhaled. The inhaled mist results in you getting high. Of course, the traditional way to smoke marijuana is to roll a joint and smoke it like a cigarette. Marijuana is broken down by hand, or ground up using a grinder, and then sprinkled into a rolling paper, rolled up, and smoked. Smokers also roll blunts, which involve the use of a cigar wrap instead of rolling paper. A marijuana pipe may also be used to smoke cannabis. Using this method, a screen is placed inside of the pipe’s marijuana holding chamber. Ground up or broken down marijuana is placed inside of the chamber, and then it’s lit by the user who simultaneously pulls on the appropriate opening to inhale the smoke created by lighting the marijuana. Another common smoking method involves the use of a bong or water pipe. Using this method, you prep the bong or water pipe by pouring water into the water chamber or vase section of the bong. Then, marijuana is loaded into the bowl (attached to the bong). The bong typically has a hose or another intake hole that you place your mouth on to pull from as you light the marijuana using a lighter or a match. A carb hole is plugged with your finger before lighting, and that facilitates the collection of smoke into the chamber as the marijuana is lit. The suction provided by pulling on the intake hole also helps draw smoke into the bong’s chamber, which is then drawn into your lungs. 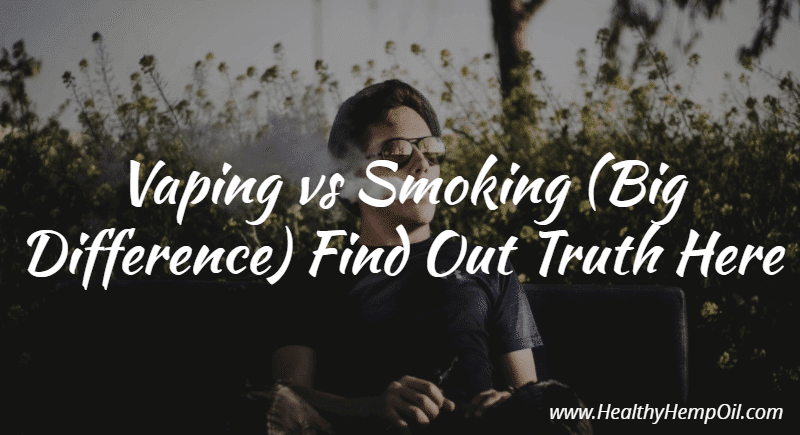 Beyond the pros and cons of vaping and smoking marijuana relative to health and safety, here we break down the more general benefits and disadvantages to offer a clearer view of each method. The process is more convenient and less messy than rolling. The devices used make vaping a handy and easy way to consume marijuana. Vaping really is healthier than smoking since it does not produce the carcinogens produced by traditional smoking methods..
For some users, vaping may temporarily relieve the same symptoms as traditional smoking methods, including PTSD and anxiety, as well as depression. The exhaled mist is virtually scent free and does not negatively impact those around you. Vaping is a discreet alternative to traditional smoking methods. In addition to the above benefits, the flavor notes are more pronounced when vaping versus smoking marijuana. Also, since the marijuana is concentrated, less is needed to produce a comparable high, which makes vaping more cost effective. A short waiting period required to allow the desktop vaporizer to heat up. When using a desktop vaporizer, the marijuana plant must be ground up to a fine consistency. Poorly made vaping equipment may contain heavy metals and glue, which can be inhaled by the user because they are off-gassed at high temperatures. Although there are a few disadvantages to vaping marijuana, this method is still the best choice for marijuana consumption from a health and safety point of view when compared to smoking the plant. Smoking a joint offers a couple of benefits, including the fact that it is the old school way of smoking marijuana. Some people may be more comfortable sticking to tradition, not interested in trying out new methods. Also, aside from rolling papers and a lighter, no additional equipment is required to get the job done. Simply put, some people may find smoking joints to be the most comfortable and least complex way to consume marijuana. Benefits to smoking marijuana by using a bong or water pipe include a cleaner, more enhanced taste than the taste produced from smoking a joint. Some people also report a stronger high when using a bong than when smoking a joint. Pipes are typically small and portable, and breaking down marijuana for this method generally takes very little time. So, some people may consider the portability and simplicity aspects of a pipe to be advantageous. The traditional method of smoking marijuana may cause airway irritants, and marijuana smoke does contain carcinogens, which are cancer-causing substances. However, research does not show a strong link between marijuana smoking and cancer. It is thought that one reason marijuana smokers are at risk for potential health issues is because they tend to intake more smoke per puff than cigarette smokers do, and they hold their breath longer, as well. Maintenance: The equipment must be cleaned regularly to maintain maximum efficiency and to prevent any lingering smoke flavor from ruining the experience. A cost is also associated with specialized brushes and cleaning solutions. Replacement: The screen must be replaced regularly to ensure the equipment works effectively. Also, some parts may become faulty or break, requiring replacement of the part or equipment altogether. Preparation: Although the marijuana does not necessarily have to be ground finely when using a bong or pipe, smoking unground plant matter using this method requires burning the plant with a lighter for longer. The longer the lighter’s flame burns the plant, the more plant is wasted. To get the maximum usage out of the cannabis, it’s best if you grind it or break it down before loading the bong. Based on available scientific data and reported user experiences, there are currently more advantages than disadvantages when it comes to vaping marijuana than there are when consuming marijuana by using traditional smoking methods. As a result, consumers are turning to vaping devices as their preferred intake method. However, the science and medical communities are still studying the long-term benefits and potential dangers of vaping marijuana. Hopefully, as more research becomes available, lingering questions will be answered that may help further guide consumers’ choices, as well as industry policies and laws. What is your experience with vaping compared to traditional marijuana smoking methods?